A former Bradford church is to open next month as a new nursery with places for up to 80 children. 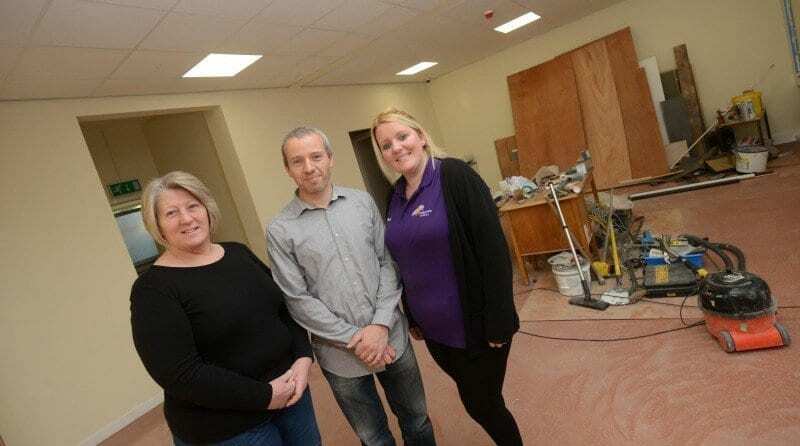 The Cooperville Centre, opening up in the disused Buttershaw Methodist Church, will also double up as a community hall when it opens in the New Year. The new nursery has been made possible thanks to the support of Bradford Council and a charity bank, helping to facilitate the provision of more childcare places for local youngsters needing a nursery education. Prior to this, Bradford Council had contacted Footsteps Nursery in Buttershaw to see if they had room for another 64 children from the local area. Unfortunately, there wasn’t enough space in the nursery to facilitate all 64 children, however, nursery boss Aubrey Sitch said he was approached by a local estate agent who alerted them to the church which was for sale. Mr Sitch, with financial backing of around £200,000 from the Charity Bank and Bradford Council, purchased the church and began to refurbish it. The upstairs of the church has been converted into a nursery for the children, whereas the downstairs has been made in a community hall which is available for residents to hire out.